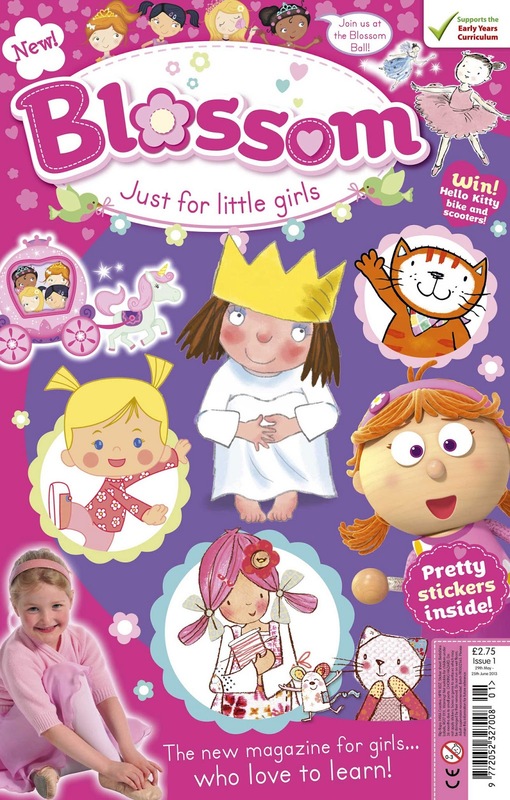 Immediate Media Co, publishers of several BBC-related comics and magazines, has announced the launch of Blossom magazine, a new girls title, packed with educational content, aimed at 4 to 6 year-olds. On the newsstands from 29th May this four-weekly title, produced by Immediate’s award-winning youth and children’s editorial team, combines popular girls’ TV, book and toy brands with all seven areas of the Early Years Curriculum. Tailor-made for the way girls learn, Blossom magazine will be pretty pastel in design and packed with things to make, art pages, challenging puzzles, and interactive stickers to be used in a special sticker section. Featuring its own four girl characters that will guide readers through the magazine, Blossom will show girls how to shine at different activities such as ballet, learning French, playing soccer and bug spotting! The magazine will also look at different jobs that young girls may aspire to. Every month Blossom will carry an exclusive, high quality cover-mount designed to appeal to young girls. 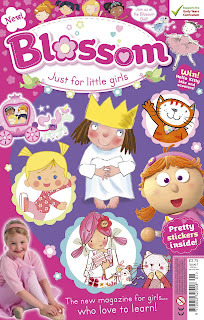 The launch issue comes with a design your own flip-flops kit and features popular book, toy and TV characters: Poppy Cat, Chloe's Closet, Ella Bella Ballerina, Little Princess, Emily Button and Tickety-Toc. Blossom magazine will be priced at £2.75 and will be available at all major retailers and independents around the UK from 29 May.